VEXXHOST is a high performance cloud solutions that is secure & reliable OpenStack based solutions for Developers & Enterprises. Solutions to support your demanding requirements and workloads used by active customers in over 70 different countries. VEXXHOST was created in 2006 and opened it’s virtual doors as web hosting provider. VEXXHOST now offers Public, Private and Hybrid cloud all powered by OpenStack. 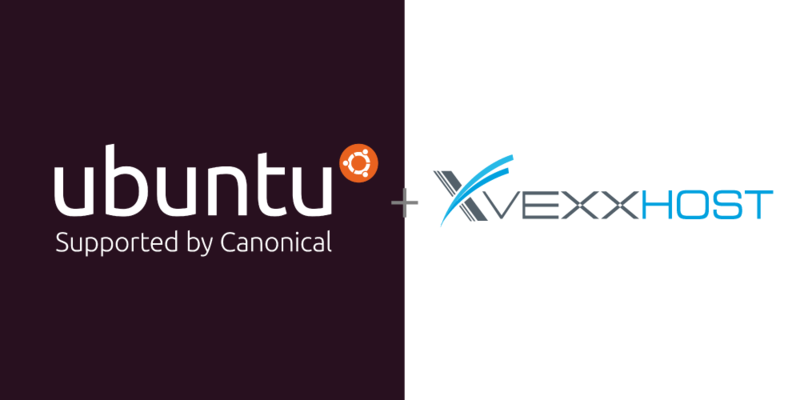 In our quest to bring you a better and smoother user experience, VEXXHOST, a leader in online web hosting and cloud hosting services, has teamed up with the folks at Canonical (the makers of Ubuntu) to become an Ubuntu Certified Cloud Provider. Ubuntu is the leading cloud operating system due to its remarkable performance, stability, and policy of regular updates. Ubuntu bring a whole new level of user experience to the cloud. This partnership means that we, at VEXXHOST, have amped up our cloud game in providing you with a version of Ubuntu which is fully secure and certified for upgrades and support services direct from Canonical. With a rock-solid support framework and powerful cloud deployment, you can move mission-critical workloads and applications to your cloud with ease and confidence. The awesomeness does not end there! Sign up now and experience it for yourself. It will only take 30 seconds and your cloud server will be ready to use. Finally, in line with this announcement, we have got some awesome specials for customers when you try out Ubuntu on our cloud: there is a 50% discount on all regular cloud servers and $10 free credit when you try out our public cloud.